Do I need the Report Library? Does the library include charts and graphs? Is the Print Preview Library included with the Report Library? The JReportPane component, included in the library, can replace most tables, edit dialogs, and forms in order to achieve stylish input and sophisticated page-breaking capabilities. Apply special formatting to tables. For more detailed information, check out the feature list and tutorial. The library is roughly 230 kilobytes. No, the Report Library does not have the ability to generate charts and graphs. However, with a third-party chart library, you can easily incorporate charts into your reports. 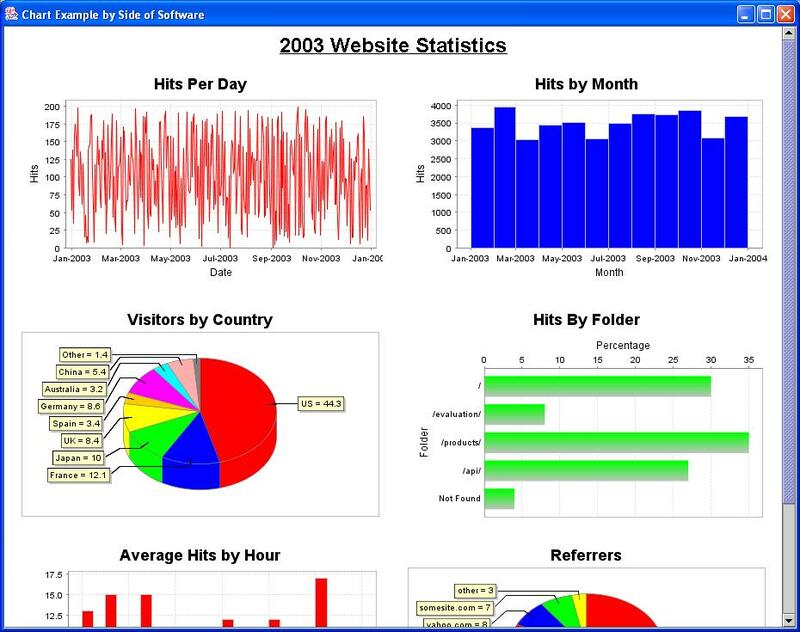 For example, this sample application uses the freely available JFreeChart library to generate a report displaying six charts and a title (screen shot). No, the Print Preview Library is sold separately here. Even though the two libraries fit together seamlessly, each library is independent of the other.